San Francisco, CA — Public Defender Jeff Adachi and District Attorney George Gascón are investigating cases where Preliminary Alcohol Screening (PAS) devices were used by the San Francisco Police Department when arresting a suspect for driving under the influence. Since the mid-1990’s, the SF Police Department has used PAS devices to administer breath tests to motorists suspected of driving under the influence. The SFPD has used the Alco Sensor IV, a handheld device capable of capturing a breath sample, to provide a blood to breath ratio of the amount of alcohol in the suspect’s blood. The Alco Sensor IV is not an intoxilizer. Under the SFPD Policy Manual and the PAS manufacturer’s guide, accuracy checks of the devices are required every 10 days. The accuracy test, which uses a known sample to test the PAS device’s ability to read blood alcohol level, is designed to ensure that the device is working properly. Public Defender Adachi said that several Deputy Public Defenders who had reviewed accuracy logs noticed that the maintenance records showed that the results of sample testing when compared to the actual reading were identical. “It’s a mathematical impossibility to consistently have the same results for sample testing and the actual reading,” said Adachi. 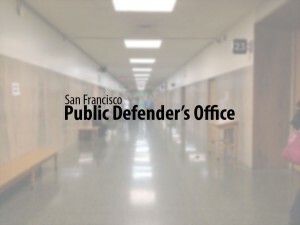 This prompted Adachi’s office to bring the discrepancy to the District Attorney, who determined that while the SF Police Department was calibrating the PAS devices, they were not conducting the required accuracy tests. Adachi said that his office handles hundreds of driving under the influence cases each year, and that his office is investigating cases as far back as 2006. “We do not know how many cases will be affected at this point, but we are asking anyone who was convicted of driving under the influence or alcohol related driving offense to contact our office.” Adachi said that only cases involving the SF Police Department where a PAS device was used during the arrest would be potentially affected. Adachi said that his office has set up a special number, 553-1081 for former clients of the office to call. Clients represented by private attorneys or non-public defender appointed lawyers should contact the attorney who handled their case.